Choosing the right private investigator is important. Advanced Surveillance Group is considered one of Michigan’s premier private detective agencies. We offer private investigative services throughout the entire state. We have offices across Metro Detroit and have worked with many clients in the city of Livonia. Our goal is to provide valuable investigative services, while keeping our fees within your budget. We offer personal and professional services and we help solve problems quickly and quietly. Relationships come with their share of ups and downs. Infidelity, divorce, hidden assets, parenting time, alimony – these are just a few of the issues you may be dealing with. We all know that life isn’t always easy. So, when you find yourself in some of these tough situations, facing some pretty tough issues then that’s where ASG come in. In a world where much of what we know about people is being posted on social media, we pride ourselves on being discreet. As a Livonia private investigator, we provide internet investigations and utilize the vast amount of information that people upload to their social media channels, like Snapchat, Facebook, and Twitter, to provide you with detailed information. A Livonia private investigator will provide results quickly and confidentially. Livonia is a large suburb in northwest Wayne County and surrounded by several metropolitan area freeways. Centrally located between Ann Arbor and Detroit, Livonia is just 20 to 30 minutes from many popular local destinations. 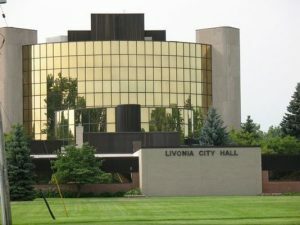 Livonia is also home to several public and private colleges, including Madonna University, Schoolcraft College, and the University of Phoenix. As Michigan’s premier private investigation agency, we are here to help you. When you have questions, we’ll help you find the answers. Contact us at 888-677-9700 and ask to speak to a Livonia private investigator and surveillance expert today.